Simplistic elegance! 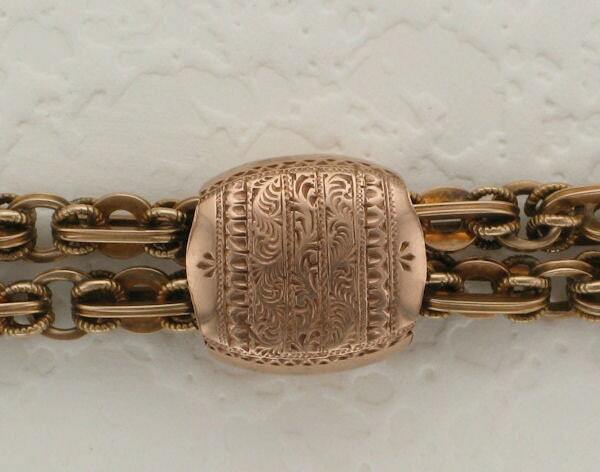 This 14 karat yellow gold Victorian fancy link bracelet measures 8-1/2 inches in length and is secured by a swivel hook. 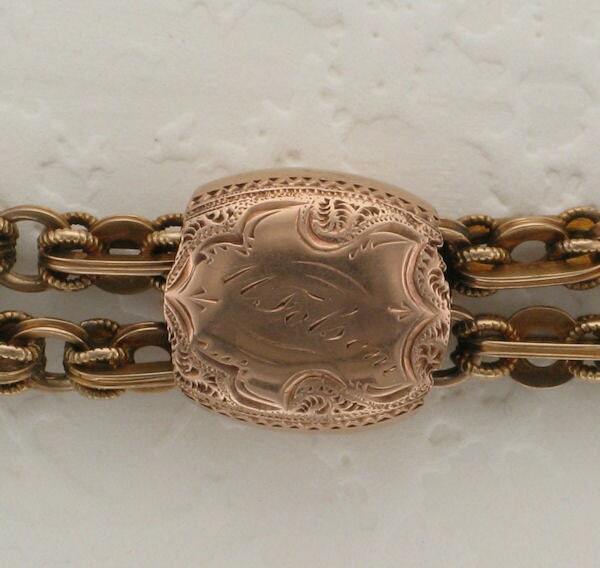 The end caps on the bracelet are beautifully hand engraved. 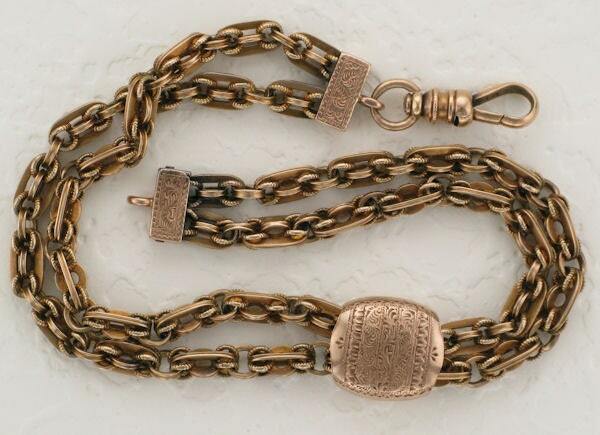 Accenting the bracelet is one oval gold slide ornately hand engraved in a feather type design while the other side is hand engraved with the name, "M Folsom." Circa: 1860's Condition: Very good.